I have a customer looking to purchase a trailer hitch/tow bar set up for a 928. If you have one, or know where I can find one please email me at [email protected]. The best ones are home brewed. I like the one that comes out of the license plate area. 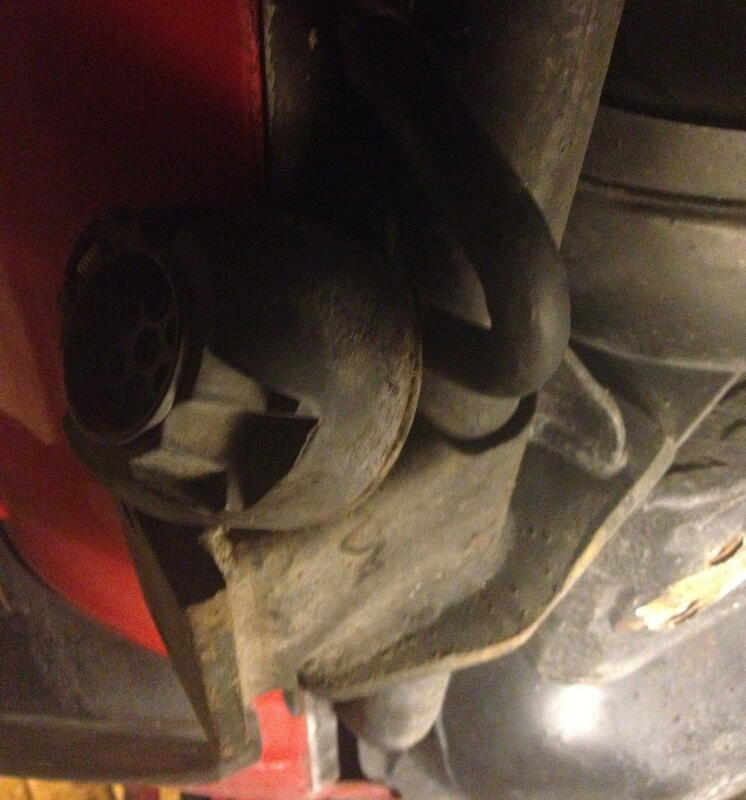 A hole is cut in the bumper cover behind the plate, and the plate is on spring swivel. There's a receiver mounted behind the plate to the bumper bar. Tip down the plate, insert the hitch in the receiver and away you go! You could build one for very little. Here's my solution. I towed the car about 10 miles a couple weekends ago with no issue. I've been towing my 924S to and from the track for over 4 years with a nearly identical setup. The best part is I can bolt the bumper on and the tow bar arms fit through the fog light holes (since I deleted them). That's pretty cool, but I think Roger means a rear towbar? IF you do manage to get hold of one Roger, the PLEEAAASSSSEEEEE take a full set of measurements so they can be replicated. I am sure you could make and sell a few. I could easily make one of these. But the style I prefer is the style that TerryGT has on his car. It requires the entire bumper cover to be removed and the aluminium bumper be modified. Then the hitch gets put through the rear license plate (on a flip down hinge). I will look into the costs associated with making this style though as it doesnt require the rear cover to be removed. What size of ball do y'all want? Why not mount a standard receiver behind the license plate, and insert a standard hitch (with the desired size ball and amount of lift) only when needed? I would much prefer one that attached to (at least) the factory points and was hidded behind the bumper cover with a removeable std type hitch receiver if this is possible. With this setup the owner could then choose the ball size. For that design, you will require taking off the rear bumper cover, cutting a hole in the cover, and either shipping the rear bumper to me, or me shipping you the pieces ready to have a shop over there weld it on. Nothings ever easy is it. If I could figure out the stock mounting points then I could probably make something up myself. It would be good to get a photo of one mounted on a car to confirm exactly how they were mounted by the factory. Something in the back of my mind tells me that the one Wally pictured is not factory - can anyone confirm that? IIRR there used to be at least two different setups. Westfalia was what factory sold at the time. Kovil made aftermarket setup which I think used same mounting points as factory. Or it could have been done by some Kovil dealer using generic parts. I made one based on a design from a long time 928 DE guy in Indiana - Randy Faunce - who I met at Road America. I only pull a small 2 wheel trailer with 4 wheels/tires and a tool box weighing a total of about 500 lbs to and from the tracks. Piece of flat steel bolts onto the bottom of the aluminum bumper bar, has a receiver welded to it, and a hole cut in the plastic "bumper" behind the license plate. Use a '50's type GM license plate holder that has a hinge and folds down. Slip the receiver with a 1 7/8" ball into it, insert the locking pin and I'm ready to connect the trailer and the electrical wiring for it's lights. Once I'm at the track, just withdraw the locking pin that is behind the plastic bumper and withdraw the square bar from the receiver and flip the license plate up for the event. Anyone who wants a copy of the "plans", send me a direct e-mail. I 'think' I can find them in my files somewhere!! If you meant the photo that Ken posted - that is the factory hitch. No welding, it just bolts to the mounting points for the bumper shocks and additional points. If I built one, it would bolt on pretty much the same way, but would have a US-standard hitch receiver rather than the flat plate just behind the license plate. Much like Gary's - but I wouldn't hook to the aluminum bar for anything heavier than what Gary is doing. When one shows up, lets do an auction for it. I'd like one too. I'll bet there is a market for at least 100. I'd buy one with a 2" hitch receiver. I want to carry less than 200 pounds (total) of bike carrier and bicycles. I'd buy one for a tire trailer. But then I'd have to find a suitable tire trailer. Hmm. Got the tire-and-tools trailer, Rob. Yours whenever you need it. Problem for most of us urbanites is how to store the trailer between uses. The tow-eye in the rear bumper is strong enough to pull the car. A hitch adapter that used those threads in the aluminum bumper beam might be cool for light duty stuff like the tire and tool trailer. Threaded pin to fit the bumper, a lock nut or lock plate of some kind to keep it from loosening in use would be needed. Box receiver on the aft end for standard attachments. Nick in Oz is also selling his car with a hitch , i asked for the hitch without the car but .....well he wants to sell the car! Am I the only one who thinks this is a very weird place to mount a hitch? A part that's designed to move, to "give" when hit by forces, and made of deformable aluminum? You are absolutely correct about the "designed to move/bend when hit". However, I have been using that exact hitch - got the plans from Randy Faunce - for 7 years to pull a 4' X 4' trailer with 12" tires that weighs about 450 lbs including 4 Porsche wheels/tires and a tool box full of "stuff" to and from tracks. Furthest track has been ~850 miles each way, closest one is 250 miles each way. Most trips are through parts of the Allegheny mtns. NOT AN ISSUE ever. I did, however, use a much longer steel plate (~18") and 6 bolts that attach it to the bottom of the aluminum channel. I have the tow eye installed, and a safety chain attached to each side of the trailer in front, as well as the electrical hookup for the turn signals and brake lights. Rob/Bob, the trailer is one sold by Harbor Freight. They also sell one - or at least used to - that is 8' X 4', and folds in the center, allowing it to be stored easily. Another 928 track guy - Physics professor at a big 10 school - had one of these for his track stuff and his kids bicycles for several years. 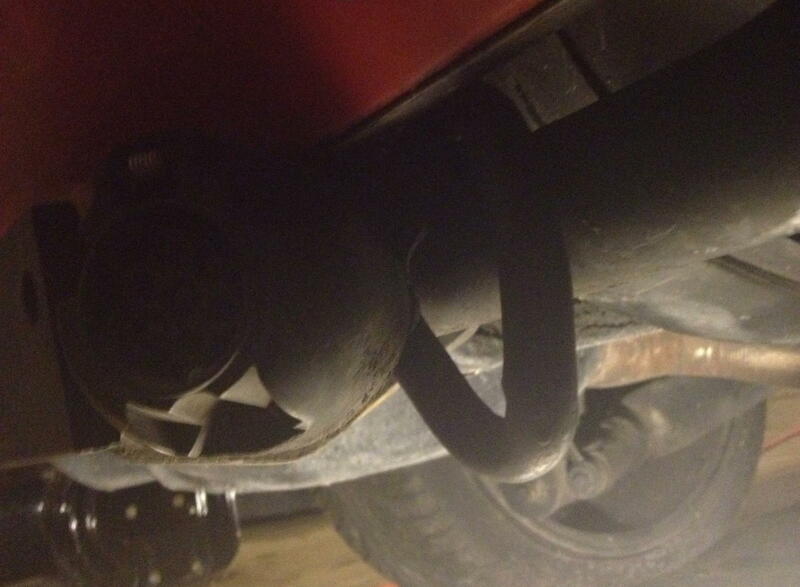 A reader on this forum named Joe sent me a request for the plans for this tow hitch. I CAN NOT respond to the address that was supplied. Joe - please send me a Private Message. that black GT looks just like the one in my garage ! I have a hitch on both my 928,s . The GT has just a reciver bolted to the alum bumper beam , with a flip down plate holder .Only capable of towing very light trailers . My 81 has a frame mounted hitch that I made and has towed 3500 # + . As a major trailer manufacturer, 50,000 and counting , making and developing a hitch for the 928 would not too hard . I would have to check to make sure our product liability insurance covered it . Anyone else building a hitch should do the same . Here is some info on the hitch. The one I have is just like the one in Porken's Pic. What are these things worth? I see where the PO paid $207 just for the ball neck. I also have the wiring harness. If you have the harness and all the mounting hardware, I'll open the bidding at $400 plus actual-cost shipping to the PRK. 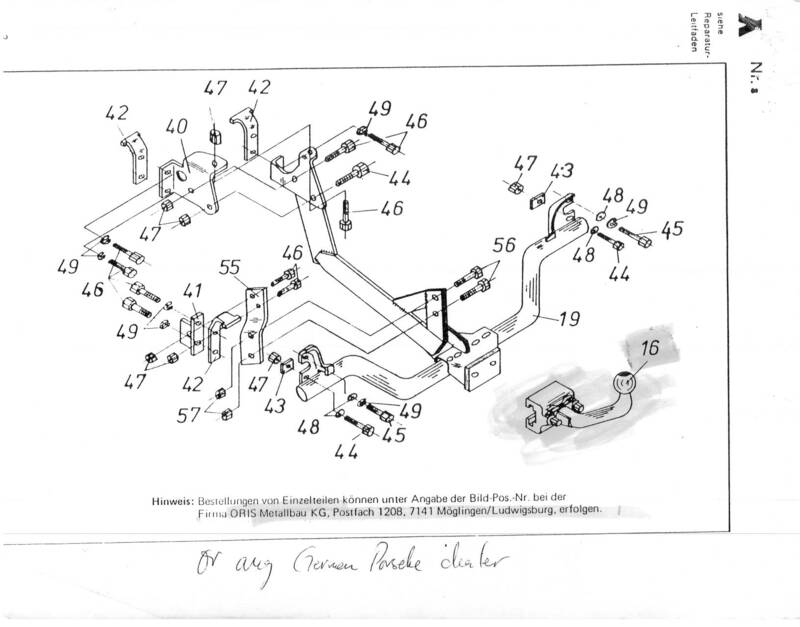 928 722 003 00, with wiring harness, for 87-91. 'cept the wiring harness (928 612 905 01) is separately listed for '85 and up. FWIW, I need the hitch for a 78-86 car. First time I've seen all of the parts for the install. (55) attaches to the battery box? I have a factory hitch on my 85. When the draw bar isn't installed it is fairly inconspicuous, not as much so as, the ones with the receiver in front of the license plate, but still fairly concealed. I’ve tried numerous times in the past put have been unable to get any reasonable pictures of the mount points until recently. I had the fuel tank out the other week which allow for me to snap a few pic’s of the installed hitch (cell phone camera so not great). I will try to post them here in in the near future. To mount the factory hitch the rear bumper cover does have to be removed, as the side mounts attach at the bumper shock mounting points. If you notice on the pic that PorKen posted the side mounts are “C” shaped to reach both the upper and lower mount bolts. With the “C”s both facing the center you cannot get the hitch in place without removing the rear bumper shocks, necessitating the removal of the rear cover. If someone were to replicate the OEM hitch and face both the “C”s in the same direction I believe it would greatly simplify installation. I personally like the factory style hitch mount as it does not rely on the bumper shocks to carry any load. Also the torque applied to the hitch it handles by the long forward arm of the hitch. In a bumper mounted hitch all the tongue weigh and torque of the pulling and stopping force (if the ball isn’t perfectly in line with the center of the bumper shocks) is carried by the bumper shock mounting bolts which are only a couple inches apart. If you are only carrying a very light load this is probably acceptable, but I wouldn’t want to rely on it. I think the ideal setup would be one which picks up the factory mount poits but incorporated a standard 2” receiver. For mine I currently have the 50mm ball which allows me to tow any trailer with a standard 2” ball hitch. I however also have a trailer with a 1 7/8 hitch, and I would like to have the ability to use hitch mounted bike racks and other standard hitch accessories, but of course none of it interfaces with the factory mount. When time permits I figure I will make an adaptor to go between the OEM hitch and whatever accessory want, just haven’t had time yet. Intresting hitch drawing Ken . If I had a original hitch , I could copy it and do a run of them , with a 2" reciver style hitch .And some mounting updates. That would be sweet. I'd be in. Unfortunate that we don't live closer. I would be more than happy to let someone take any measurements and attachment details (though it looks as though I'm missing a couple parts in the sketch above, I don't have 40 or 41) from mine. I'll admit it would be really convenient to have the 2" receiver incorporated. I believe #40 is designed to capture as much body material as possible to distribute the load at the forward end of the hitch. I do not have this piece, and didn’t know it existed until the above drawing was posted, so during my install I used oversized fender washers. 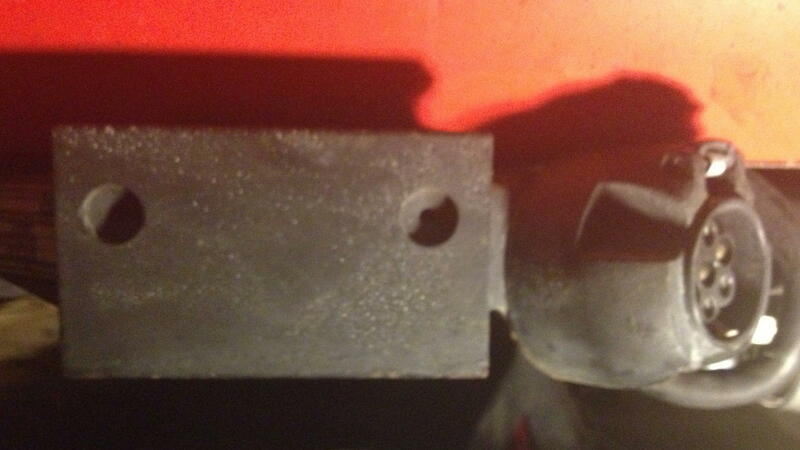 I also the rearward hole on the forward arm of my hitch was not a through hole it only penetrated one layer of the overlapping welded arm so I did not install a bolt at that location. I also did not see how to gain access to the forward side of the body sheet where the forward facing bolt would be located so I omitted that bolt not knowing how to get a nut on it. Looking at the drawing all locations where #42 interface with bolts there are no nuts present, so I assume #42 are tapped nut plates which may explain how the forward bolt would be installed. I’ll have to go back and look at that area again and see if there is access to install them, if I can still see the area since I have reinstalled my tank. (40) and (41) mount inside the cabin, as backing plates. yes 41 and 42 are backing plates. they also provied additional fore/aft bolt locations to further distribute the load. I posted info on where to buy these in Germany many months ago. The company is Oris. They may still be in business. Simon, also in photo 2 is a large crack, with what appears as some displacement to the "C" bracket. Might be time to remove the hitch for some maintenance. In the big circle is a shadow. Not sure what's in the small circle. good pictures they show the mounting points . not the greatest lay out or construction , I think a better mount could be built . plasma cut the parts / two piece construction / 2" reciver . Maybe I should build 20 or so . ? I think a better mount could be built . plasma cut the parts / two piece construction / 2" reciver . Maybe I should build 20 or so . ? Yes, please do. I'll take one. I'm in for ~5% of the production run. I would probably take one too. Depending on price. Keep us informed about your progress on getting a new Oris hitch. It will be interesting to see if they're still available, and if they are how much they want for one. Suppose if it comes down to it and there's enough demand to actually implement a redesign, I could be persuaded to pull mine and send it out for reverse engineering. If it costs way less than $1500 for a factory original one from autoatlanta, then I am really interested in one for my 81. Yaaa, which model are you referring to the factory-type or the behind the license plate-type? Out of curiosity I called autoatlanta, both the per and post 86 hitches are NLA. They have them listed on their site but have no availability. OK, Terry GT, we need you to gin up a bunch. I want a behind the license plate 2" receptical capable of supporting a bike rack and 4 bicycles. GW about 200# with some bounce. I am off to Maui for a bit, then I will get the hitch project underway. First thing I need is a dead car so I can fit it up , and later rip the hitch out to test it . Enjoy your trip. I'd like a hitch before the Minnesota cycling season starts in May, 2013. Guys...I have an '81 euro with the factory hitch. I'd sell it considering I have no interest in trailering anything. It's clean and actually very cool looking. It tucks up under nicely also. I am a bit concerned about what removing it will do to the value of my car....my car also came with a factory telephone. I am interested. Need to pull a motorcycle trailer. I'd only tow with an auto 928. It would be very cool to find a front end wrecked 928 and build a trailer out of the rear half of it, phone dial single axle, strip the paint, bare metal and clearcoated. Very '50s Airstream.. It would have it's w. axle still and take the turns with the tow 928 beautifully. That had crossed my mind as well. I think the complication would be that the rear axle would be way to far back and you would end up with a lot of excess tongue weight (which the 928 can't handle). So to do it you would need to relocate the axle further forward. It would probably make more sense to remove all the original rear suspension anyway so you could drop the floor to increase the interior room. Also I thought it would be ideal to have a canvas enclosure to allow the rear hatch to be popped when in use as a camper. Also you can disregard the function of the W. axle when used as a trainer. The axle needs fore and aft thrust at the wheels to function, and a free rolling trainer will not do this. Do you have the ball to go with it? If so do you know what size it is? Mine has the 50mm ball which works with standard 2" trailers. Don't know what options where originally available, but would like a ball that works with 1 7/8" hitches too. I don't have the ball. Sorry. Simon-is your hitch like mine? Yes, it is identical to yours. It would be cool, my factory manual states 550lbs tounge weight i think.? Moving the axle line is too complicated in terms of the body and fender well etc. or modify your tow 928 rear suspension with air support which is very doable and cheap. Did you have to point out that the W. axle wouldn't work? Brake lights are already there, hatch opens offering tons of extra luggage space(make sure there is a hatch key with donor), would be neat, save a junker. I hope someone does it. I would love to do it, but have so many things that would take priority; I doubt I’ll ever get around to it. Not sure how one would add air support to the rear of a 928, with the coil overs on the rear. I’ve seen bags that go inside coil springs and I've seen air shocks, but neither of these would be directly adaptable to the rear of a 928. Cutting it off I front of the hatch hinge seems pretty messy to me. If it were to be done it seems to me the logical thing to do would be to cut it at the firewall. The tongue section could then attach were the front frame rails currently are and then to finish off the trailer all you would need to do would be build a fairing to conceal the firewall. the tub would already be sealed as it currently is, with the exceptioin of havine to address a few areas where electrical and hoses pass through the tub. That doesn't look too bad. I'm just thinking if I'm going to be dragging an enclosed trailer around, might as well be long enough to sleep in. would be a lot of fun, will do when i retire. Just to resurrect this thread. Has anyone scored an original or templates for a light duty hitch? plenty of 928 material to work w/ back there/ attach hitch to. Emerald...did you ever get a response from Oris about the hitch? @F4GIB I too would be interested in a bike rack out of a 2inch reciever. but what confuses me is if the reciever is behind a flappy license plate then how is the plate visible when you are towing something? Fuel tank replaced with Beer distributing device. finish opening with 1" mild steel tube frame and then take it to a sail maker to seal it off. Lightweight though and quickly done, no weight issues for tow vehicle. It would probably leak a lot in heavy rain if not moving on highway..
sorry pic is way large. The bike rack loaded with bikes obscures the plate on my Jeep. In 4 years, no cop has noticed. Not a significant risk. ...and I have the car! Gary, I'll check the paperwork you provided me,but I don't think you have that to me. However, I can take pics of the setup AND you can see it live of you go to Frenzy (without the actual trailer). It's so simple, yet so brilliant. I did not. Sorry for the slow response. I gave up. I still would love to have this setup for my 89 with the hidden connection under the plate. Still working on a trailer hitch . Its not as easy as one would think . The hitch on my GT is simply a plate welded to a 1 1/4 " reciver tube and bolted under the alum bumper ,a hole cut in the bumper ,with a flip down LP holded . It is VERY VERY light duty , a bike rack is out of the question . My 81 has a much stronger set up , but is visable . What I am working on is a high cap ,hidden hitch that dose not require the removal of the bumper cover to install like the factory one did . So you can use a bike rack and tow something like a class 1 hitch . What I am working on is a high cap ,hidden hitch that dose not require the removal of the bumper cover to install like the factory one did . So you can use a bike rack and tow something like a class 1 hitch . Ill take 1 for sure. Let me know if you need seed money. Thanks for the offer . Money is not one of my problems , time is . I have the Original ORIS D83 hitch on my 86. Im looking for a ''ball'' for it... Any pointers? I have the original hitch with the ball and some sort of wiring harness I'll take $550 + shipping for. Price is because I have to pay someone to remove it. I'm not able to health wise right now. I posted the info on the Oris Hitch. It's the same one. PM me if interested. You might want to start your own thread as many do not look this deep into the thread. I am interested, but funding is allocated elsewhere right now. Have you had time to work up the trailer hitch yet? this trailer hitch is no more available. 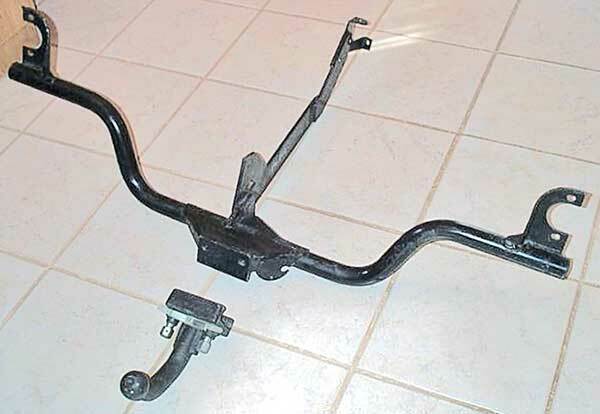 Did any of these tow bar re-creation projects ever come to? if I could get a factory hitch to use as a starting point , it would push me along . then adapt it to a receiver style hitch ,std 2" . would also be nice not to have to re and re the rear bumper set up . then some testing to confirm its load capacity . U-Haul will make one for free if you can get your car to their Tempe, Az location. I need one, but that too far and snakey for me. I'm pretty sure I don't want to have the U-Haul guys trying to fabricate one on the car. 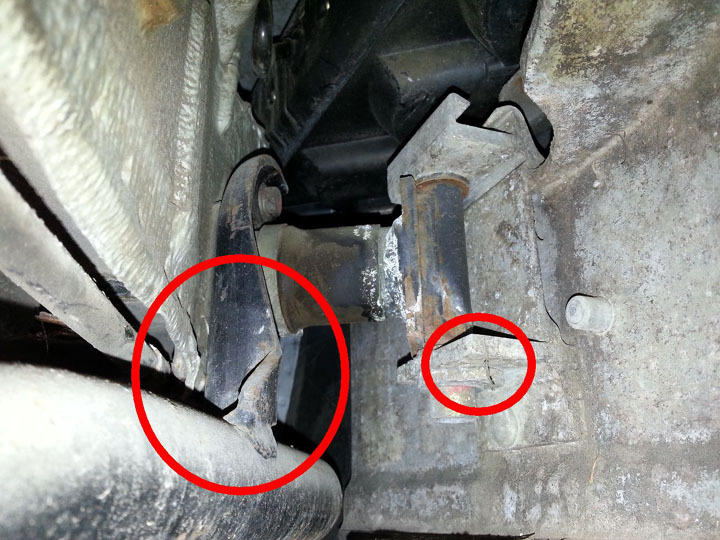 The mounting access for the rear supports would require welding up "inside" the PU bumper cover after sandwiching steel plate between the bumper shocks and the rear bumper beam/crossbar. Then getting that forward brace tied to the aluminum suspension crossmember will add to the challenge, welding under the fuel tank. I think that whoever takes on this task will end up with a fixture to locate the mountings correctly, so all the welding is done with full access. To me this is a task assignment most appropriate to a Ken or Jake (Ducman...) or others with the fab and welding skills. Lots of "looks easy" stuff like this is not really that easy. Might be the reason we haven't seen any good aftermarket or DIY options yet. I don't see why welding on the car would be required. From what I've read the factory bar doesn't require it. Might need to tack the parts together in place, but there are adhesives that can be used for that. At any rate it's just something I came across during my search. I'm not advocating one way or the other. On the other hand this thread is six years old and I still don't see any offered for sale. Edit: Clearly what U-Haul really wants is to make a jig to add to their inventory. I'm sure if someone sent them an original they would be able to use that. Really...nobody is gonna do this, because liability. Now Uhaul doing it..well, that would be interesting, and I doubt they would take it on, the OEM setup was IMHO really underwhelming in its design, and im not sure how it could be done better. It seems they actually have one for an '86. Aren't they all the same? I didn't bother searching further before. Trying to visualize what that had to be drilled out and bolted to.. It clearly says the picture is not the actual unit. The hitch was the same 78-95. So that U haul one would work on all 928s. That is, if they actually manufactured it to fit correctly. For a buck seventy five I might have to find out. How much was the original?